Street performers are underrated because they can make your day when going home after a sad day or bad day at work. People love to stand by and listen to the street performers for a few minutes. They love to do this, particularly during the holiday season since their music shares happiness and joy. Street performers always have been and will be a blessing to all those people in a hurry. Because once you hear their music and their singing you stop for a second and remember what life is all about. However, for those street performers who stand there on the rain and sun just to amuse you this is not so fun. A lot of people tend to ignore their talent and efforts, as in the case of one Malaysian performer from the video you will see below. This man spends the entire night playing his guitar and singing out loud. And although nobody took a moment to listen to him, still he had an audience. 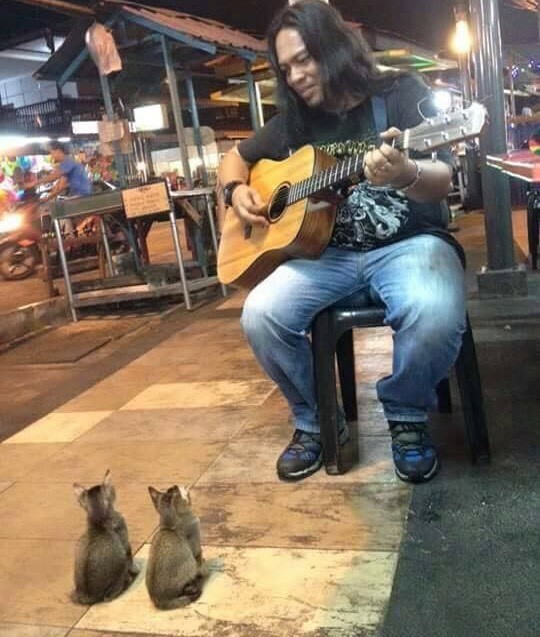 In front of the street performer 4, three-month-old kittens sat and just enjoyed his music. 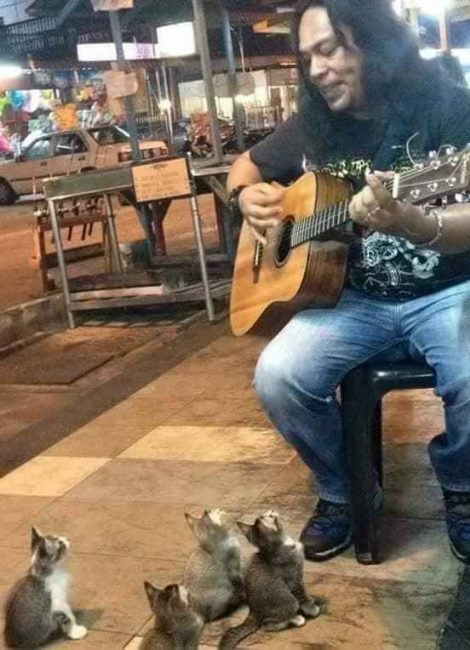 These kittens were the most supportive and cutest crowd out there. They are adorable. 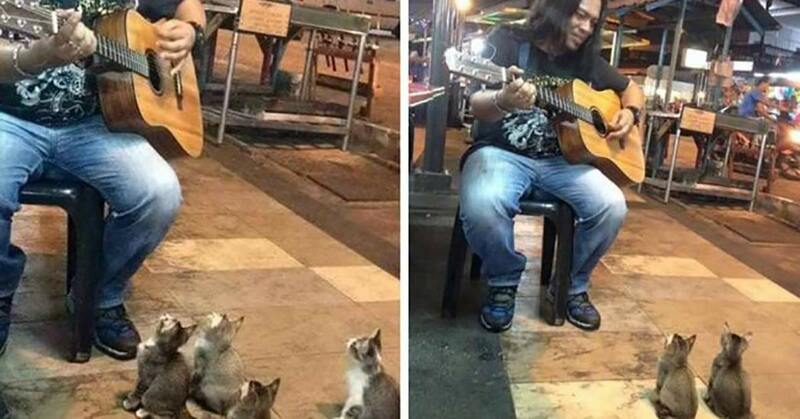 And as you can see from the video, sometimes animals remind us that there are things to value in this world, like this man’s music.